Research abounds that sitting all day isn’t good for your health. As a result, a lot of desk workers are incorporating standing desks into either part or all of their workspaces. In this week’s featured workspace, Jeffrey Abbot has transformed his cubicle desk into a standing desk with the help of a homemade riser. I’m sticking with my traditional desk and simply making sure I get up at least once each hour and move around the office. If you’ve been thinking about a standing desk, though, but didn’t know how to make it happen in your workspace, maybe Jeffrey’s uncluttered standing hack could work for you? When I go on vacation, I’m a loyal AwayFind user. The service makes it so I don’t have to check email while I’m traveling, but I still receive emergency messages via text message (or IM, a secondary email account, or a phone call). Instead of being tethered to my email while I’m supposed to be relaxing, I can actually relax because I know only the very important stuff will get through to me. This feature isn’t really for folks on vacation, but is great for consultants, real estate agents, and anyone who is regularly running from client site to client site. To activate the “People I’m Meeting Today” feature, you link your digital calendar to AwayFind and then set a notification period. 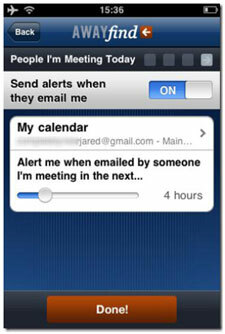 If a person you’re meeting with emails you right before your upcoming meeting, you’ll get a text message or phone call. This is extremely helpful if the meeting time or location changes at the last minute, and you’re already headed to the meeting. Another feature, called “Alarm,” was also released on Tuesday, but I haven’t yet tried it. It’s an iPhone-only service, and it actually rings the phone’s alarm whenever you receive contact from a specific person. For example, if you are waiting on a message about your dream job, instead of checking your phone every few seconds, an alarm will sound if the person contacts you in any way — call, text, instant message. You can have the ringer off on your phone, and the alarm will still sound if the VIP calls you. AwayFind isn’t free (which is why I only use it when I’m on vacation), but, to be fair, it’s also not very expensive ($15 per month or $140 per year). You can try the basic service for 30 days for free to see if it works for you. And, it should go without saying, but AwayFind isn’t compensating me in any way to write this, I’m sincerely a fan of the product. I’m specifically happy about their commitment to helping people get over their addiction to constantly checking email. Oh, Woozie, who is your intended target market? Who needs you? Regular wine drinkers know better than to pour more wine into their glasses than they can consume before the drink gets too warm. And, if I’m to believe fancy music videos, people who party on yachts and tropical beaches can afford wine buckets and coolers to keep bottles chilly. 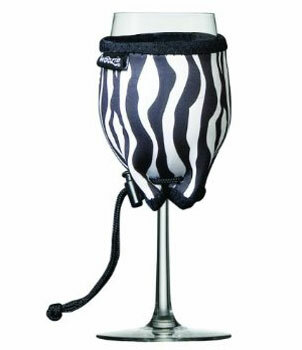 Maybe guests at the Royal Wedding Reception will have these on their wine glasses as they stroll through the gardens? If so, I bet there is a fight over who gets the leopard print. Thanks to reader Matheus for sharing this unitasker with us. Getting started with the uncluttering process may feel overwhelming. If you’re new to uncluttering, you may feel like there is too much to do and the process will take too much time. You might have a lot to do, and it may take awhile to get through everything, but the end result is worth it and the process isn’t difficult. The front of your refrigerator. If you have a magnetic refrigerator, the front of it might be covered with expired coupons, old school lunch menus, damaged pictures, and broken magnets. Quickly pull everything off your refrigerator and only put back those things that belong on your refrigerator. Anything that is expired, out of date, broken, or damaged certainly shouldn’t go back up, but you’ll have to decide what else does. Maybe nothing will be returned and keeping the front of your refrigerator clear will be your new normal? A bulletin board. Whether you’re at home or work, uncluttering a bulletin board can be a great little project. Very similar to the front of the refrigerator, bulletin boards are where old extension and phone trees linger, warped pictures, and memos from 2007. Get rid of all the clutter and keep only the things that really belong on the bulletin board. When you’re hanging items back on the board, be sure not to overlap any vital information and put things where you can actually see them when you need them. Stray item roundup. Pens, shoes, pony tail holders, or paperclips may be items strewn about your office or home. Whatever item seems to be out of place everywhere, round up all the same item and put it in its proper place. At the end of a workday, I might have 10 different pens on my desk, so I do a daily pen roundup. Remember the aphorism: “Rome wasn’t built in a day.” Take on a few simple and quick uncluttering projects each day, and eventually your office and home will be clutter free. Today I am excited to announce that our sister site, SimpliFried, is giving away a versatile Le Creuset Enameled Cast-Iron 5 1/2 Quart Round French Oven, which typically retails around $240. Plus, if you are the winner of our giveaway, you get to pick from the nine available colors. They really are wonderful multitaskers. How to enter to win: Entering to win is simple. All you need to do is follow @SimpliFried on Twitter. If you aren’t already on Twitter, create an account and then follow us @SimpliFried. The full contest rules are available here, on SimpliFried. Questions for cooks: Skin-on or skin-less chicken? Confused about how to boil water? Is your refridgerator running? Shouldn’t you go catch it? Head on over to Simplifried to have all your cooking related inquires answered, or follow @SimpliFried on Twitter. If you live in an area of the world that experiences four seasons, this is the time of year when you’re switching out your cold weather clothes for your warm weather ones (or the other way around if you live in the southern hemisphere). Before you pack away your winter coat and hat, take a few minutes and make sure you’re keeping clutter out of storage and also protecting your clothes so you won’t be unpacking clutter in the fall. Did I wear it in the past six months? Any item of clothing you didn’t wear in the past six months should be a strong candidate for the donation pile. Exceptions to this might be a black wool suit you wear to funerals, but you were very lucky not to lose someone close to you in this winter. However, if an item of clothing is trendy and you didn’t once put it on your body, it should probably be donated to charity. Is it clean? Do not pack anything away that has been worn and not cleaned. Pests love to snack on dead skin cells, so clean everything you plan to pack away for the summer. Is it damaged? If an article of clothing is damaged, it needs to be fixed before putting it into storage. Give yourself a week to do the repairs yourself. If you don’t make the repairs in a week, send the clothes out to a tailor to be professionally repaired or get rid of the item of clothing because you may not care enough about it to even have it fixed. Will it still be in style in six or eight months? If you already know the trend has passed, and you care about trends, it’s time to get rid of the piece of clothing. Does it pass the red velvet rope test? Only donate to charity clothes that are in good condition. Any piece of clothing that has seen better days can be marked as rags. Many charities that accept clothing also collect rags, so you can make both donations at the same time. Just be sure to call ahead to confirm that the charity is currently accepting both types of donations. Pack the clothes loosely into an air-tight, thick plastic container. 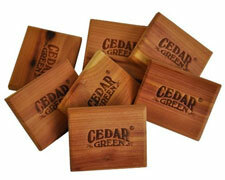 Pests will eat through cardboard and fabric containers in seconds. Plastic containers keep out the smaller pests (like moths) and slow down larger ones (like mice). Pack pest deterrents in with your clothes. Freshly sanded cedar chips or blocks, lavender sachets, and other anti-pest products will help to keep pests out of your stored clothes. Store clothes in pest-free areas, as best as you can. In other words, if you know you have mice in your garage, it’s probably best not to store your clothes in the garage. Clean, clean, clean. Again, remember that pests love dirty clothes. Everything you store for the season should be clean before packing it away for the summer. Similar to the open classroom trend in the 1970s, open offices became a popular layout design in the 1990s and continuing to today for businesses wanting to increase collaboration, break down hierarchical barriers, and save on overhead (cubicle and permanent walls are more expensive than no walls). For all of their advantages, even the biggest proponents of the open office layout admit there are some downsides to their structure — no privacy, constant noise, usually messy (no one takes ownership of shared spaces), and endless opportunities for distractions. Pick up and move. If you can find a quiet area of the building to retreat to for an hour or two, and the equipment you need to do your work can transport with you, head to the hideout. Conference rooms, lobbies, and the coffee shop around the corner can be good options for finding a little solace. You can’t run away for the whole day, or even days on end, but a short time away from the noise can be beneficial. Don’t go out of your way to have a super-inviting workspace, at least not all the time. Don’t have a candy bowl on your desk or wind-up toys or novelty gadgets. Keep supplies like staplers and sticky notes in your desk drawer so coworkers aren’t always looking to you for these materials. In other words, don’t tempt your coworkers with a reason to interrupt your work. Come in early. If you know you have a big project on your schedule for the day, come in an hour or two before the rest of the office. No one will email you, call you, or even know you’re there working. Have a clearly marked and empty inbox. If people know where they can set paperwork or materials so you will see them, they don’t have to hand you the items. Your coworkers won’t always use the inbox, but they can’t use it if you don’t have one. Avoid using speakerphone at all costs. Even if you’re the boss, no one likes listening to your phone conversations. Turn the volume down on your phone’s ringer and earpiece. Again, no one likes listening to your phone conversations. Don’t call out to coworkers. Get up and walk over to someone if you need to speak with her, unless there is some kind of emergency where yelling is appropriate. Respect the earphones. Email or instant message someone who is wearing earphones if your communication is not vital. Your coworker can respond when he isn’t focusing so intently. Use an inbox. If someone has an empty (or mostly empty) inbox, use it for paperwork or materials instead of interrupting her work. Do you work in an open office? Have you ever worked in an open office? Share your tips in the comments for curbing distractions in an open office environment. Organized is not synonymous with new, and this week’s workspace is a perfect example of how older furniture can continue to work perfectly in the present. 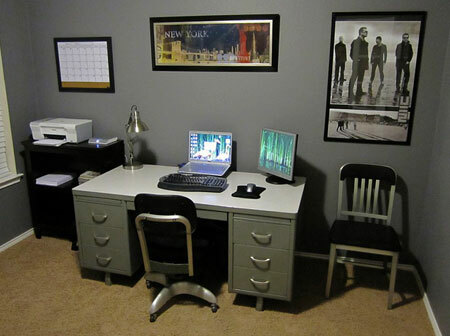 Using a desk from the middle of last century, John Megadeth has achieved a wonderful, stylistic look for his home office (and not a cable in sight!). The makeover began last summer with the purchase of the mighty tanker desk. With this piece, I began to really get into mid-century industrial furniture. With the addition of an awesome desk lamp (which we searched high and low for), and a great desk chair with matching side chair, the office is coming together well. Unlike many of the people whose work spaces I see, I am not a computer programer. I’m a Technical Writer for a major-US airline here in North Texas, but I (unfortunately) don’t need to work from home. Our computer is mainly for everyday use. Thank you, John, for such sharing your workspace with us. The company Electrolux sponsored nine teams at the Domus Academy in Milan to design the kitchen of the future. The concepts are pretty impressive, especially for small space and storage design. Electrolux ReSource. The show Clean House is looking for cluttered homes to be made over for future episodes. The show is filming next season in the greater Los Angeles and New York City areas, and to be considered you must own your home and at least two adults must live in the place. If you want to be on the show, email your name, address, phone number, list of everyone in the house and relationship to them, photos or videos of three rooms in your home that are messy, and a brief explanation for why you want to be on the show to Rose at [email protected] for LA consideration and Amy at [email protected] for NYC consideration. You must submit your email by tomorrow, April 22, 2011. SwissMiss featured a great little product that bands your writing utensils to your favorite notebook, clipboard, or book. The pencil holders are called Clever Hands and they’re made by an artist on Etsy. I think these would be a great organizing tool for students. A website, hysterically named BookshelfPorn, features daily pictures of (usually) organized bookshelves from amazing libraries around the world. After our post earlier this month about keeping clutter off your bookshelf, I thought you all might enjoy seeing these (mostly) amazing solutions. My friend Julie Bestry, a professional organizer based in Chattanooga, Tennessee, recently wrote a post for the Metropolitan Organizing website on how to become a Certified Professional Organizer. If you’ve ever thought about a career as a professional organizer or are already a professional organizer and want to be a CPO, I highly recommend checking out her post. Another professional organizer friend of mine, Allison Carter based in the Atlanta area, has a quick post on uncluttered gift ideas for moms for this upcoming Mother’s Day. Last August, NPR featured a 40-minute segment on Fresh Air exploring “Digital Overload.” It’s a long segment, but it’s interesting as it looks at people’s addiction to multi-tasking.